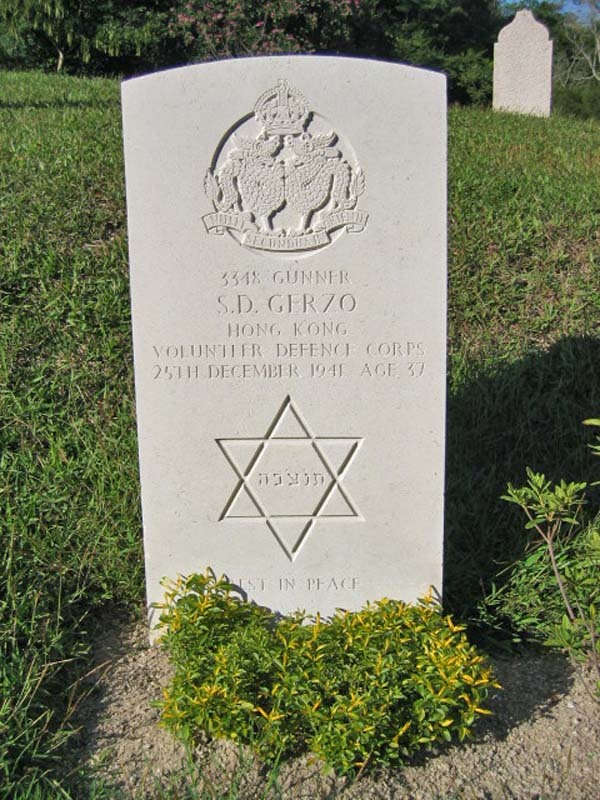 Historical “Sam” was a gunner with HKVDC. He was killed by Japanese forces around 6:30 am on the day of the surrender to the Japanese on Prison Road in Stanley. He was originally buried at St Stephen’s College, and his grave was later moved to the Stanley Cemetery. His family moved to China in 1910, where he lived until coming to Hong Kong in June 1936. At that time he was stateless; the Romanians had taken away his nationality as he had not done military service. From 1937, he applied repeatedly to the British government in Hong Kong for British citizenship, but was refused because he did not have the required five years’ residency in British territory (i.e., Hong Kong). He worked at various companies in Beijing and Tientsin as an accountant, assistant factory manager, casings inspector and branch manager. In 1938, he joined the Texas Company (later known as Texaco) where he was highly regarded, and offered a promotion. However, he rejected this, as it would have meant moving to Shanghai, and he wanted to stay in Hong Kong to be able to obtain British nationality. In 1938, he went on a five-month trip to Belgium for health reasons, travelling on a stateless person’s passport issued by the Commission of Public Safety of the City Government of Shanghai, accompanied by his wife, Ida. They arrived back in Hong Kong on December 30, 1938, on the Canadian Pacific liner Empress of Japan and then stayed at the Peninsula Hotel. Sam was still working for the Texas Company, and applied to join the HKVDC in March 1939. In his application he stated that he had served for two years in the British Volunteer Defence Corps in Tientsin (in the late 1920s), and now requested that a “place be found for me to do my bit for England”. 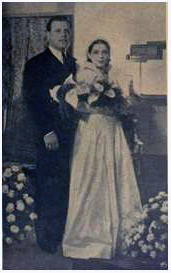 He and Ida married in Shanghai in March 1935. Ida served as a volunteer nurse for the HKVDC during the war. After the war, she moved to Australia and remarried, living in Subiaco (Perth) with her husband Herbert William (“Joe”) Close, whom she met at a social event in HK in 1945. 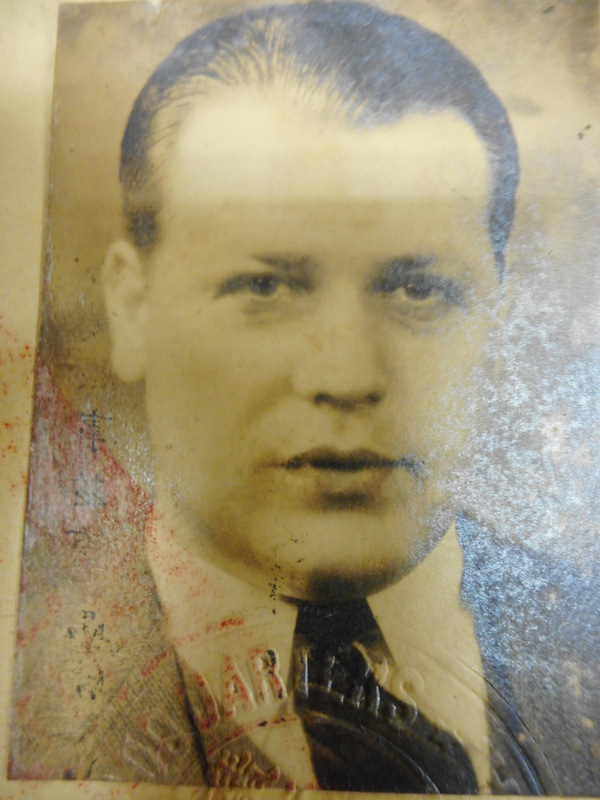 Joe was a Uruguayan who emigrated to London in 1941. He was a Captain in the British army in Hong Kong in 1943. 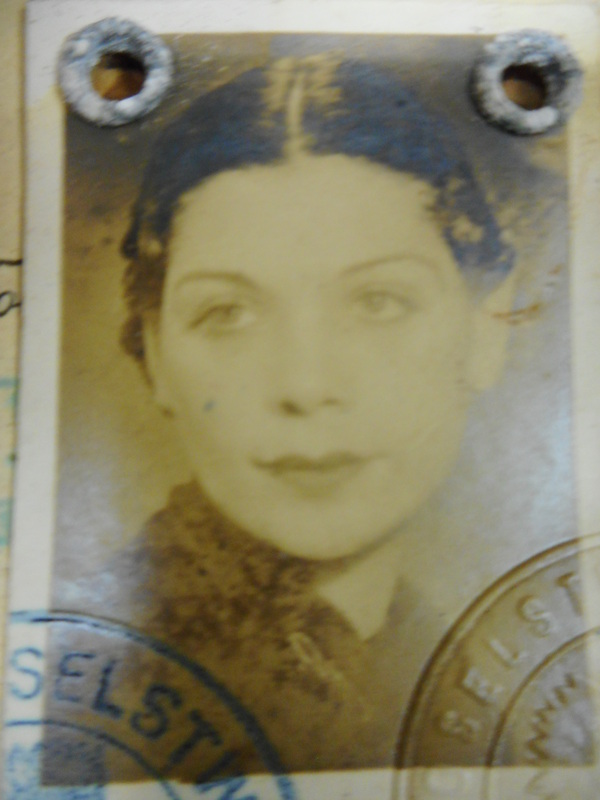 Ida later immigrated to Israel, where she died in October 2009, aged 97. She was buried in Western Australia.